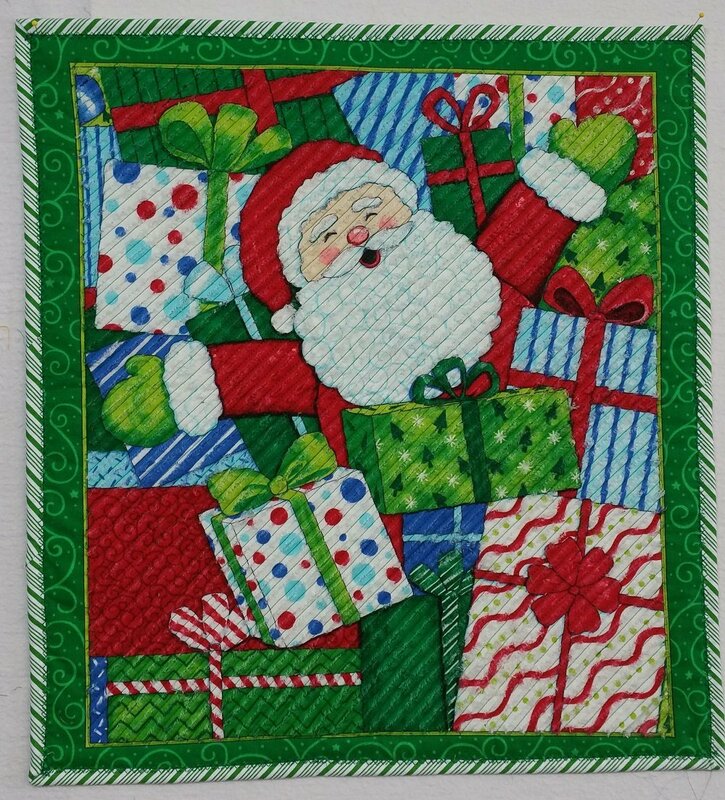 Chenille Christmas Santa Panel Wall Hanging KIT. Kit includes 2 pre-cut panels, fabric for binding & backing. Complete instructions. Approx. size 20 x 22. Just add batting & you're ready to go. Borders & binding may vary from kit to kit.